Every coach to ever put on a whistle dreams of being an FBS head coach. Every coach desires the conference championships, the undefeated regular seasons, the bowl trips, the multi-million dollar contracts. Hardly anyone thinks of what may come after. After seven seasons at Montana and five at UNLV, Bobby Hauck is now the special teams coordinator at San Diego State, and he’s enjoying the latest chapter of his 27-year career. 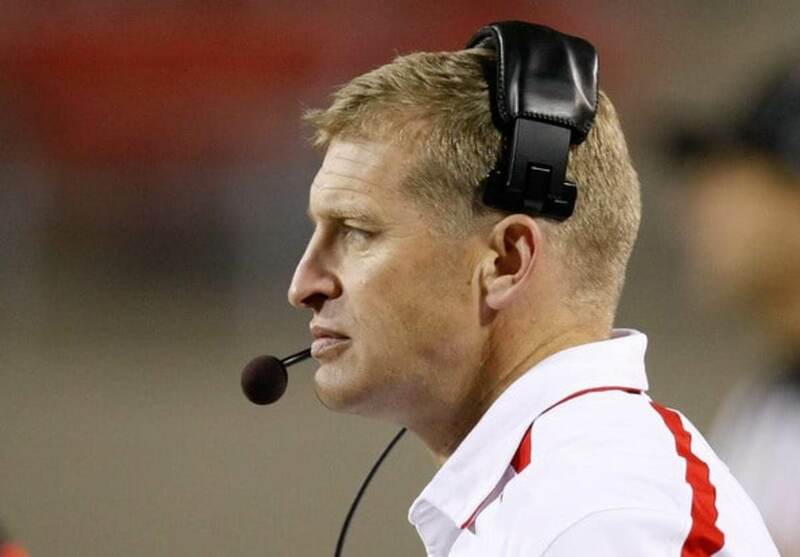 FootballScoop spoke with Hauck about coaching special teams, his departure from UNLV and life in San Diego. You haven’t been an assistant coach since 2002. Has there been an adjustment period for you? It’s been a long time. I’m actually out on the road recruiting right now. It’s been fun to go out and work an area, I haven’t worked an area in over 13 years. It’s been fun. I have a lot more narrow focus on what I have to prioritize on a daily basis and I’ve really enjoyed it. Is it nice to have all the extra load of being a head coach off your back, or do you catch yourself biting your tongue sometimes? It’s kind of refreshing not to worry about some of the administrative things, and then my boss and I see eye-to-eye on virtually everything philosophically. It’s been great. You mentioned you’re on the road right now. I imagine that has been a nice change for you, yes? It’s been kind of fun. I just left a coach, I told him it’s a lot more fun sitting and talking football with him than it was trying to get donors to help me pay for summer school this time of year, which is what I would have been doing the last three years. It’s been good. Recruiting is recruiting. The recruiting game hasn’t changed too much, the technology aspect of it is a little different with all the different electronic communications and social media since I last worked an area. It’s pretty smooth. You’ve coached special teams continuously since 1995. How did that come about, and why did you keep doing it after you became a head coach? Like a lot of guys that are coaching special teams, I kind of happened into it almost accidentally. I don’t think anybody views themselves as they get into coaching as a special teams guy, and I certainly haven’t been just that. It’s something I’ve enjoyed and then when I became a head coach I hung on to it because I liked getting to coach every guy on the team, essentially. For young guys looking to climb the ladder, would you recommend special teams as a means to carving out their niche in the profession? I’d go a little different route with that. The way I’d put it to you is, having been a head coach at a couple different places, special teams, from an organizational standpoint, seeing how the whole big picture fits together, I thought being a special teams coordinator was better prep for being head coach than the offensive or defensive coordinator. At least at the collegiate level. You were tremendously successful in your seven years at Montana but were never able to build the same sort of success at UNLV. If you could do it all over again would you have still taken the UNLV job? Hindsight’s easy. We were real close to getting it going there, had the opportunity to get UNLV to their first bowl game in almost 15 years, the first winning season in the same amount of time and the fourth winning season in 30 years. There were some really good things. I enjoyed people there in town, they were really good to me. So, yeah, I’d go back and do it. I’d hope for a different result, maybe change a couple of things. I knew it was going to be an uphill struggle when I took the job so none of that was a real eye-opener to me. In terms of what our team looked like, how we competed, we made a lot of progress there. I wish we’d have won enough to be able to still be there. You were still under contract when you left UNLV. Have you gotten the buyout all worked out? That’s not worked out very well. I’ve actually got the makings of a court case because we’re having a hard time getting to the point where what I believed to be agreed up is not coming my way. Contractually, I would have had to sit out two years and I couldn’t see myself sitting out of coaching for two years, so we made an agreement where I basically took half of what I was owed and we haven’t been able to get to that point where they’ve come through with what I thought they should. So they just haven’t paid you? It’s funny. We’re down to a point where, contractually, I was due 30 days of full salary and benefits and we haven’t gotten that straightened out. It looks like it’s going to the lawyers. Let’s switch gears a little bit. Not many people may be aware of this, but San Diego State is one of just 27 FBS programs, and only two in the state of California, to reach five straight bowls. What makes the program so successful? San Diego is a great place, first of all. There’s a reason why a lot of people want to live there. It’s a wonderful place to live, a great place to go to school and I think kids see that. The staff’s done a nice job of recruiting a lot of quality players and that’s opened them up to success on the field. It seems like the entire department is consistently putting programs in the postseason. That’s hard to do at the mid-major level. What’s the secret? Our athletic director Jim Sterk is a very experienced guy. He’s a great man and understands how it all works. It really starts with him and a lot of the head coaches in this department are really tuned in and work together. Rocky Long and Steve Fisher are great guys and they’ve worked well together. You go around the department, our women’s golf coach Leslie Spalding does a great job. People who know what they’re doing permeate the department. The Chargers’ desire to move to Los Angeles is well known. How closely is the athletics department watching development? Those decisions are being made way above my pay grade but our athletic administration and our university are keeping close tabs on that because it will affect the stadium and a lot different things involved with that. Everybody at San Diego State has got one eye on that. People in San Diego are not wanting the Chargers to go any place, so we’ll see how that goes. That’s a business. They’re going to do what they need to do.